Here's a small sample of the natural treasures we've helped preserve over the years. Candlewood Lake is a 5,369acre man-made waterbody spanning five towns in southwestern Connecticut. Mark June-Wells, Ph.D., who was employed by one of our partners at that time, conducted a 30-year multivariate data analysis to identify the factors affecting water quality and non-native plant invasion. Using these results, Dr. June-Wells developed a comprehensive lake management plan to enhance water quality and control nuisance plant species. This project could not have been completed without the cooperation of New England Environmental Inc., The Candlewood Lake Authority, The First Light Power Company, The Connecticut Agricultural Experiment Station, and the five municipalities surrounding the lake. Lake Beseck is a 160acre man made waterbody located in Middlefield, Connecticut. The lake has suffered years of cultural eutrophication coupled with natural nutrient loading from the highly productive non-native aquatic plant species Potamogeton crispus. In recent years the municipality and concerned citizens have organized an oversight committee to manage their valuable freshwater resource. That conservation effort included hiring AER to advise the committee on their lake management initiatives. The relationship between AER and The Town of Middlefield has resulted in consistent water quality monitoring, plant surveying, the development of a lake management plan, and numerous public outreach/education initiatives. Rogers Lake is a 260acre waterbody located in the towns of Lyme and Old Lyme, Connecticut. AER partnered with New England Environmental Inc. of Amherst, MA to provide a full scope consultation project to the two municipalities. The main directive of the project was to develop a comprehensive management plan to improve recreational access through the control of the invasive species Cabomba caroliniana and Myriophyllum heterophyllum. Additionally, the project included full water quality monitoring, plant surveying, permitting, and public outreach. This project is truly a testament to the municipalities' dedication to conserving the beautiful valuable Rogers Lake resource. 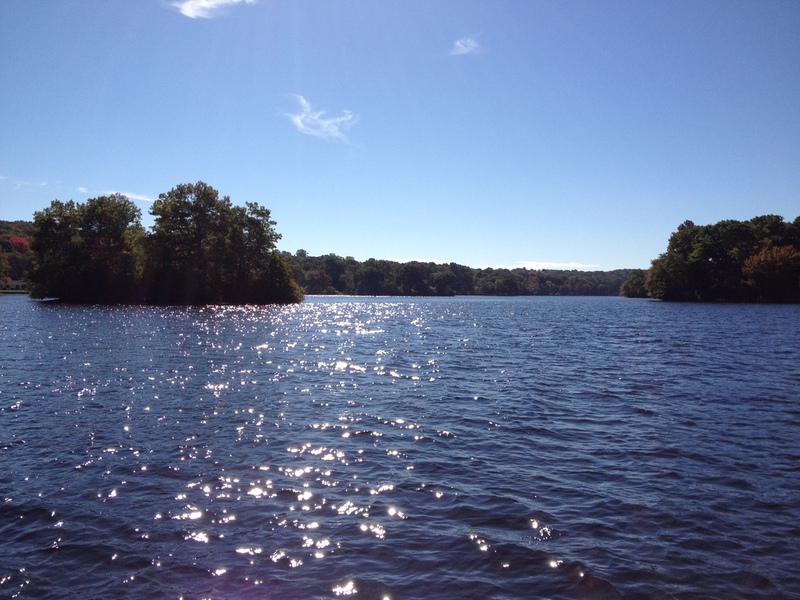 Wenham Lake is a 250ac waterbody located in Wenham, MA. It is the municipal water supply to the towns surrounding Wenham, MA (i.e Salem and Beverly). The long industrial history of the area had left the lake enriched in metals, particularly Manganese. Manganese release from the internal sediments under periods of thermal stratification and deoxygenation (i.e summer/fall) was compromising the public value of the water supply. The Salem and Beverly Water Supply Board engaged CDM Smith, Kinsman Corporation, and Aquatic Ecosystem Research to install and monitor a large scale aeration system. AER conducted the data collection and validation protocols to determine whether the aeration system's performance was inhibiting manganese release from the deep-water sediments of Wenham Lake Reservoir.